Many years ago, when our son was young, we had a number of trips to Brittany, Cornwall, West Cork and the Outer Hebrides. All these have important neolithic sites but his cry was ‘not more old stones!’. Hopefully now, he would be more appreciative. 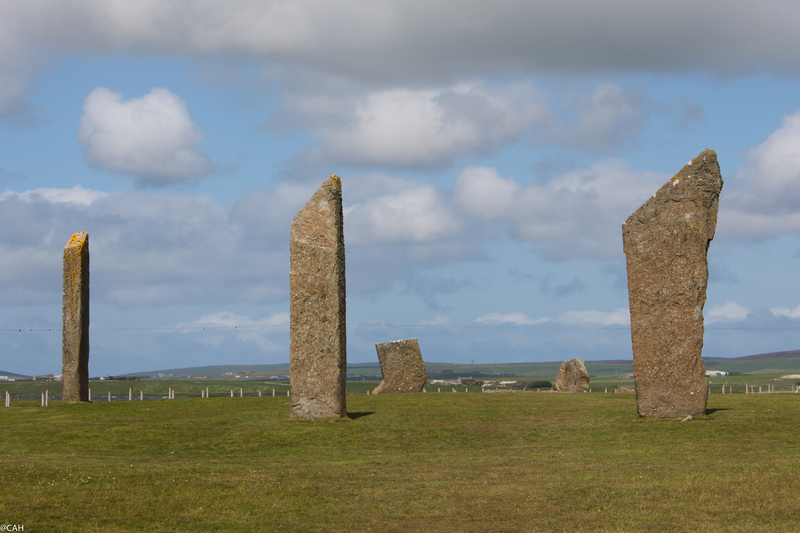 We had planned to start at Stenness and then work our way to Skara Brae via the Ring of Brodgar. 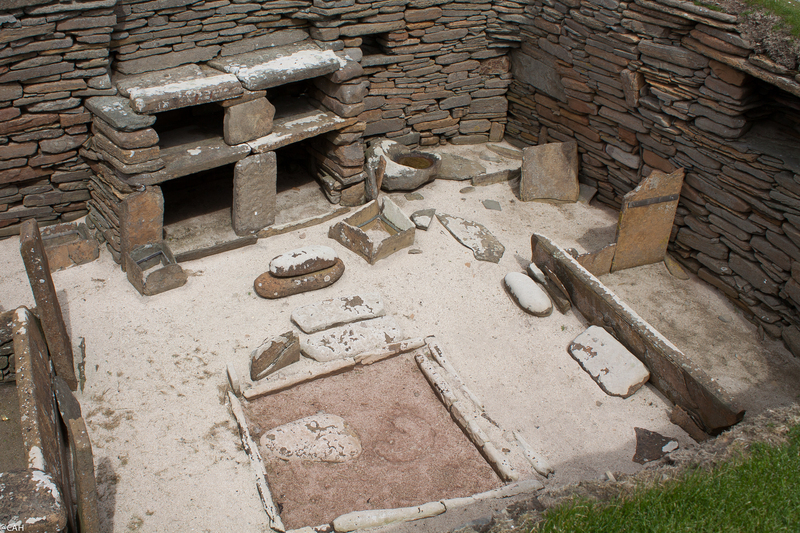 However, just as we were about to get out of the car at Stenness, a very wintry shower fell and everyone ran for cover. We decided to do things the other way round as we could see that the clouds were clearing in the west. 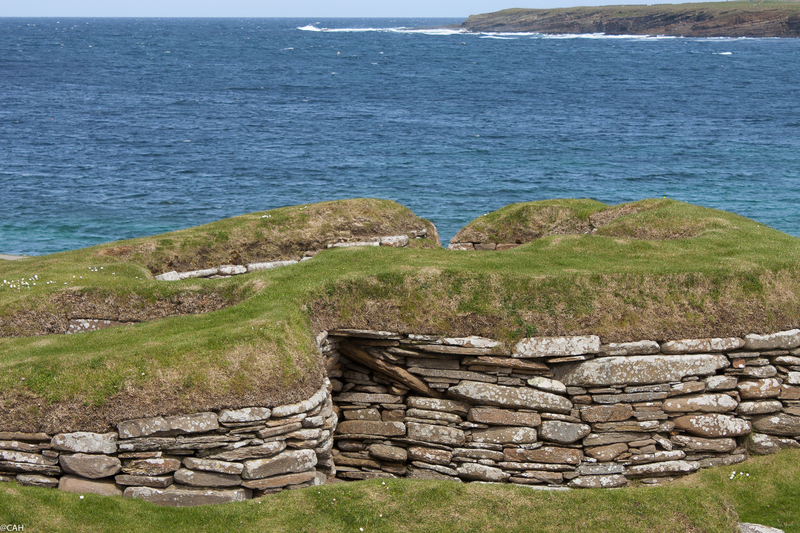 Skara Brae was a real treat as I had learnt about it in primary school but never visited it. We know something about those who lived in them but there is even more we do not know about their culture and language and beliefs. The exhibition in the visitors’ centre was very busy so we pushed on outside to look at the real thing and afterwards had a walk on Skaill Beach and looked in the house. We then decided to head off to the Ring of Brodgar ahead of the coach and minibus who were gathering to leave Skara Brae. Once there, we got into conversation with a local guide about some comments we had heard from acquaintances in various parts of the Highlands and Islands relating to English people moving there (‘white settlers’) and the fact that very few locals want to work with visitors. 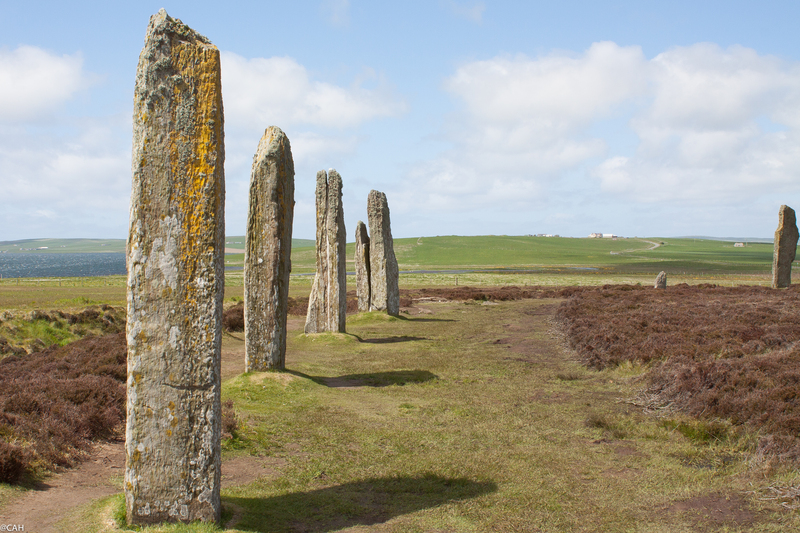 She was more optimistic about Orkney, saying that some of the Orcadian diaspora (some of whom I have known at school and university) are now returning and that the population had increased by 5% in the last census. She also said that cruise ships now stop off in Orkney with 4,500 people on board. I was quite glad that the stones were quiet when we were there. 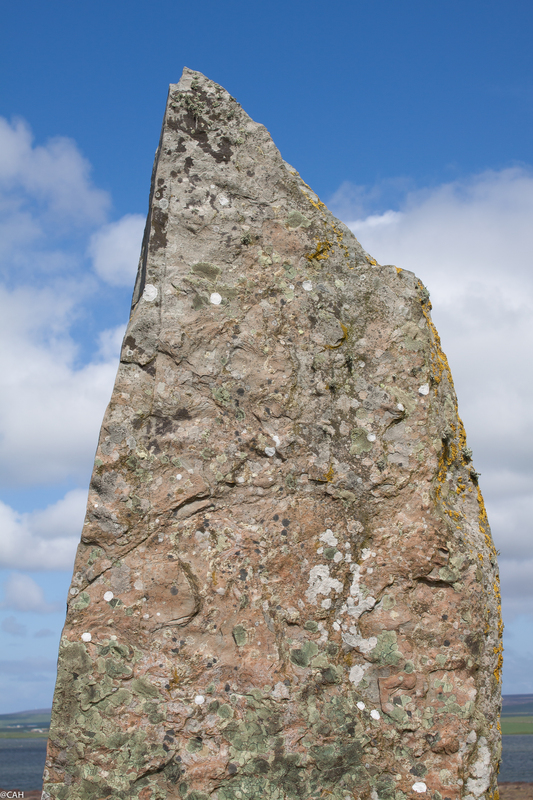 Our last stop was Stenness, whose stones are some of the oldest in Britain. The high winds today triggered my trigeminal neuralgia so I took some time out before planning tomorrow’s activities.